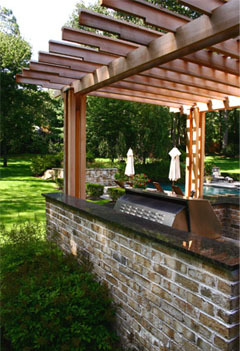 Asked to design a structure for an existing outdoor kitchen in a contemporary motif, we created this asymmetrical pergola. 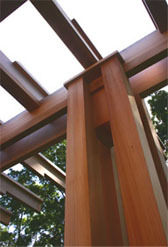 Open style post assemblies were used at the garden end to help facilitate vine growth. 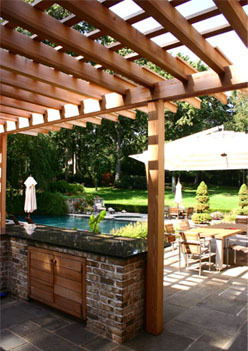 In order not to overwhelm the space, simple 6 x 6 posts were used at the house side of the pergola. 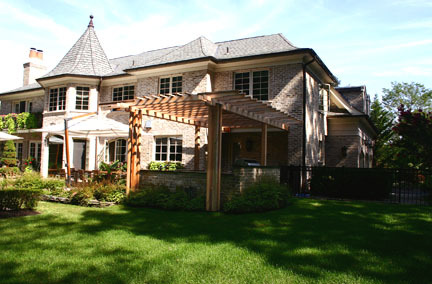 A partial "T" type rafter was used to add shade while maintaining a simple, modern detail. 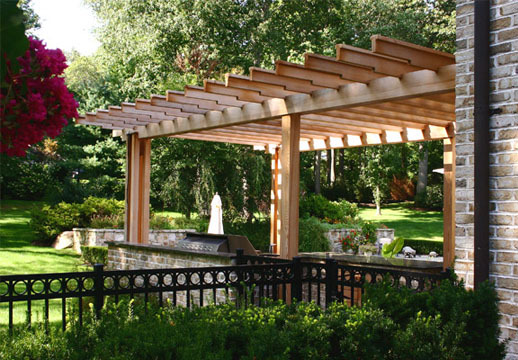 A very unique and attractive pergola.